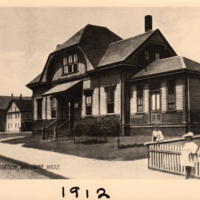 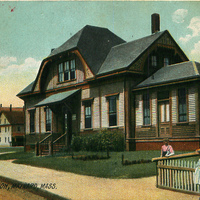 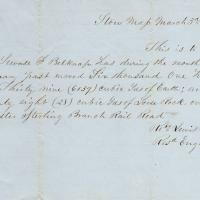 A letter from Daniel S. Sanborn to R. L. Davis concerning some missing plans during the construction of the Sterling branch of the Fitchburg Rail Road. 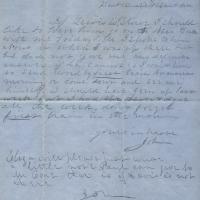 A letter issued by John _ to R. Lewis Davis regarding a trip to New York. 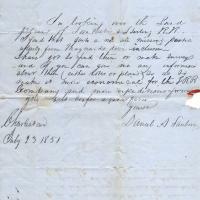 The letter was inside an envelope with the label Bent & Bush Co. 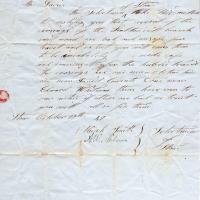 This letter is part of a collection dated 1849 ca. 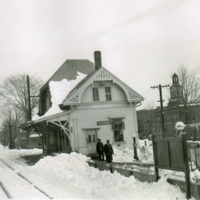 The Selectman, Micah Smith and A. E. Nelson, are concerned the railroad crossings are unsafe during the construction of the Sterling Branch of the Fitchburg Rail Road. 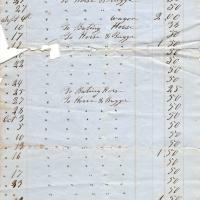 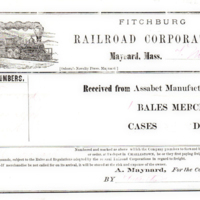 These two invoices list the horse, buggy and wagon rental to the Fitchburg Rail Road at the time of the Sterling Branch construction. 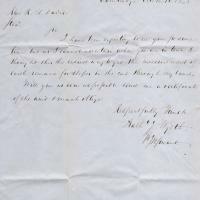 A letter requesting information to Mr. Davis from Nath J Wyeth concerning the amount of fill for a slope cut. 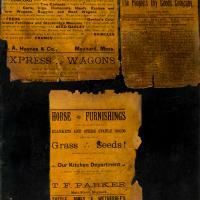 Newspaper clippings pasted on a cardboard backing. 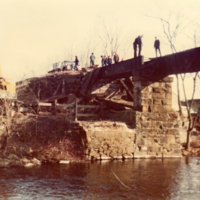 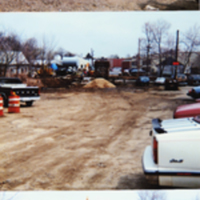 In May of 1989 the last of the railroad bridge was removed to make way for the new foot bridge over the Assabet River and the new Tobin Park. 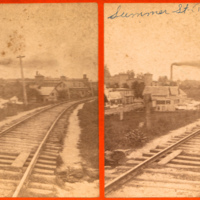 A stereograph showing the railroad crossing at Summer Street. 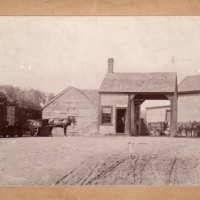 The coal company picking up coal that was delivered by the Delaware & Hudson railroad car. 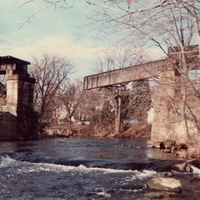 A collection of eight photos (5 shown) of the bridge off Main Street. 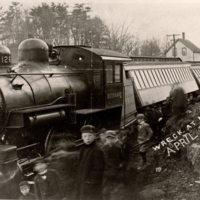 Three views of the 1911 train derailment. 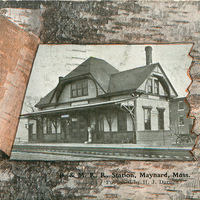 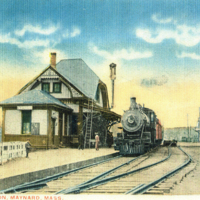 Time table for the Boston to Fitchburg line including the Ashburnham, Greenville, Watertown and Milford Branchl.